Acoustic echo cancellation is one of the most severe requirements in hands-free telephone and teleconference communication. 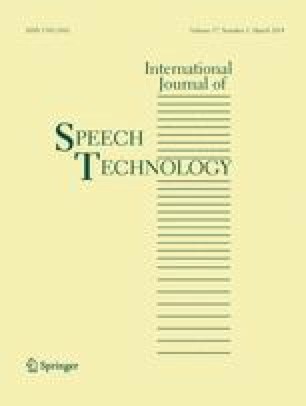 This paper proposes an Empirical Mode Decomposition (EMD)-based sub-band adaptive filtering structure, which applies the EMD-based algorithm dealing with the far-end speech signal and the microphone output to obtain two sets of intrinsic mode functions (IMFs). In addition, each IMF set is separated into different bands based on the power spectral density (PSD) of every IMF. Experiment signals were collected from a medium-size office room and simulations were taken under different conditions by three types of EMD-based algorithms. Results show that the proposed structure is able to model the transfer function of the unknown environment and track the change of the room much faster than the normalized adaptive filtering structure. The ensemble EMD (EEMD) algorithm and the noise-modulated EMD (NEMD) are proved to have better performance than the EMD algorithm in terms of echo return loss enhancement. This work was supported by the Natural Sciences and Engineering Research Council (NSERC) and industrial and government partners, through the Healthcare Support through Information Technology Enhancements (hSITE) Strategic Research Network.